Mbali Mahlale was born without arms, but she isn’t letting that stop her from succeeding. Watch how determination and resilience overcome disability. Mbali Mahlale was born without arms, but she hasn’t allowed this to limit or define her. The 11-year-old’s determination and resilience is evident in the way she takes on her daily tasks, adapting to use her feet as hands. Her attitude outshines her circumstances. Mahlale is unstoppable. 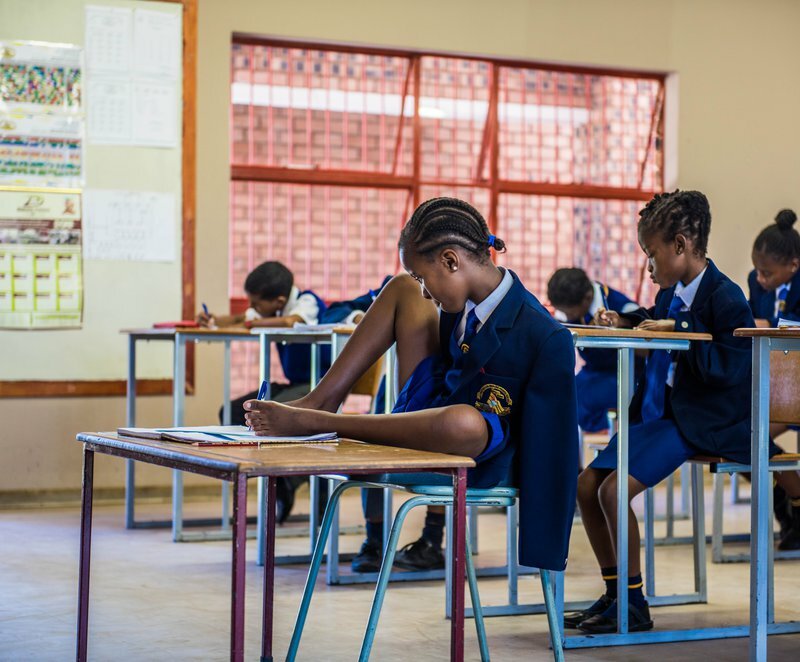 Mahlale is currently a Grade 5 student at Myngenoegen English Private School in Limpopo. As the only learner there with a disability, it has taken some adjusting, but this hasn’t affected her love for learning. “There’s nothing difficult about school because I like reading and practicing maths,” she says. Read more: Do you ask a disabled person the story of what happened? While Mahlale could be fitted with prosthetic limbs, it would cost close to a million rand. If she does have prostheses fitted, they would need to be replaced as her body grows. As a result, the Department of Health has decided to wait until Mahlale turns 18 to be considered for prostheses that she may keep for the rest of her life. In the meantime, Mahlale is taking the initiative and living her life to the fullest. “It doesn’t mean when you are disabled you must depend on other people,” she says. “Disability is not a sickness. Let’s stand up and do things on our own.” Not yet a teenager, Mahlale is already the epitome of independence, resilience, and positivity.